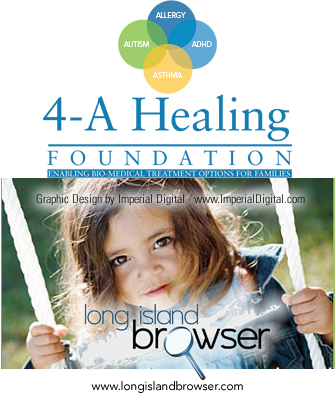 4-A Healing Foundation provides financial assistance for biomedical treatment for children with allergy, asthma, ADHD, autism as well as informational resources that may assist you as you begin the healing process and road to recovery. 4-A Healing Foundation understands the financial burden that a family may incur when a child is diagnosed with a 4-A disorder. The 4-A Healing Foundation can provide financial assistance for children that require biomedical treatment, as well as informational resources that may assist you as you begin the healing process and road to recovery. Together we can make the dream of biomedical treatment become reality. The 4-A Healing Foundation, Inc. is a 501(c)(3) public charity that assists families with financial needs who have children affected by Autism, ADHD, Asthma and Allergies collectively known as the 4-A Disorders. Grants provided to families are used solely to find and pursue appropriate biomedical treatment. Tags: 4-A Healing Foundation, allergy, asthma, attention deficit hyperactivity disorder, ADHD, autism, financial assistance, biomedical treatment, informational resources.